Over the past few months I have been knitting up a storm. I love to quilt but there is something so relaxing (and convenient) about knitting on the go, while commuting to work, and while watching my favourite tv shows. Here are a few of the projects I have recently knit up. I bought the pattern and yarn for this at the Brooklyn General Store with Amanda when we travelled to NYC last April. It was the first time I have ever knit on circular needles and the first infinity scarf I've made. 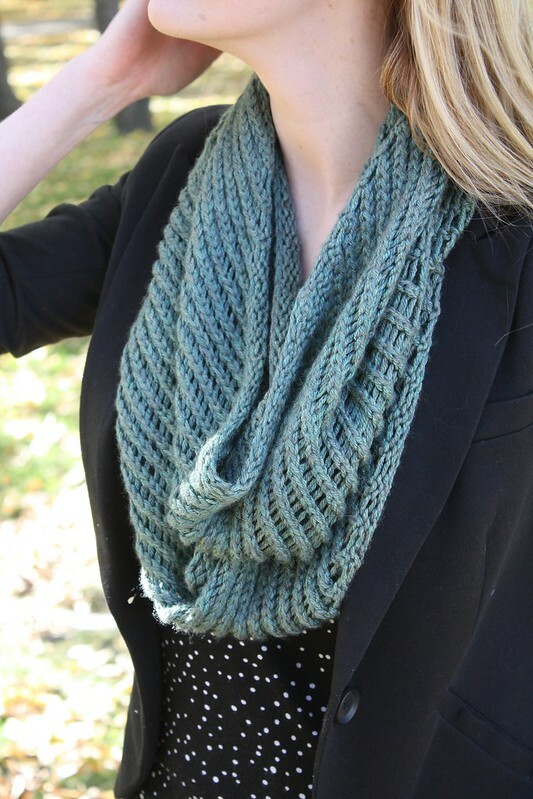 This cowl adds great texture to my fall basics and I've gotten a ton of wear from it already. I made these socks with a close friend in mind (a friend with very small feet I might add!). 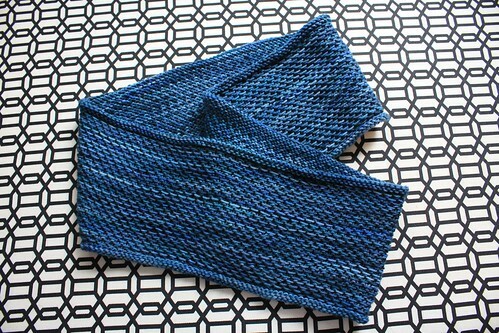 I love how the texture turned out and I could easily knit this pattern again in the future. 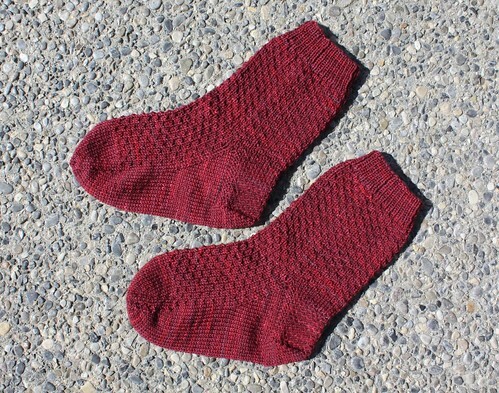 For these socks I used Malabrigo sock yarn in the colour Tiziano Red. When we were down in Salt Lake City for Sewing Summit this September, Amanda and I swung by Blazing Needles. I picked up a skein of Malabrigo Arroyo in Regatta Blue and had cast on before my first flight left the tarmac. This one is destined to be a Christmas gift. A few weeks ago I took a course at a local yarn store for this headband and was able to finish this up within the 2.5 hr class. It was a perfect introduction to knitting cables and a great way to chat away a Saturday afternoon with some similarly knit minded ladies. 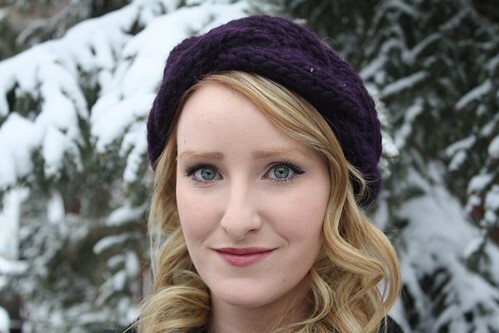 It snowed here for the first time this weekend so I faced it with my head up (wrapped in my new headband of course). I'm grateful that I have a stylish new way to keep my ears warm this winter. I also might be hooked on cables! I have a few more knitting projects on the go and a million more planned in my head. I'm doing my best to limit my stash to one medium sized box. This box just so happens to be full so I've promised myself not to add more to my yarn stash until I use more of what I already have. I think it's going to become a problem, much like fabric around here... well some say problem... I'm going to say 'opportunity'! 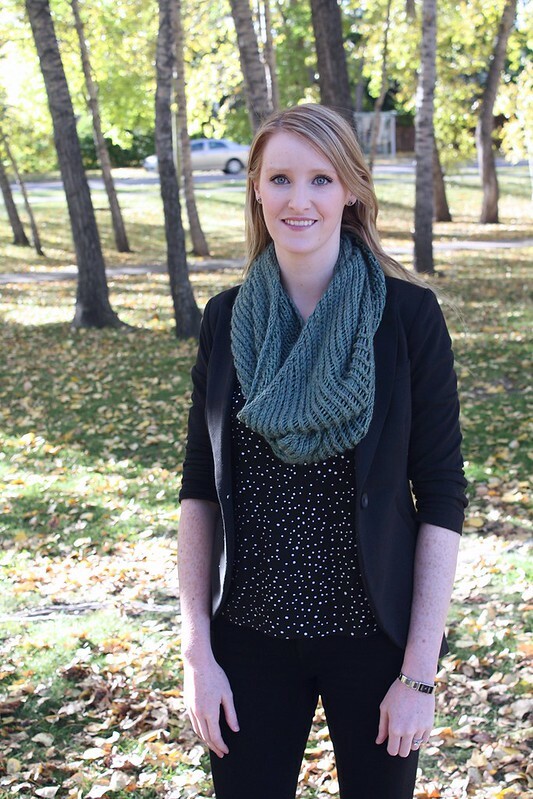 All lovely knits, Kelsey! 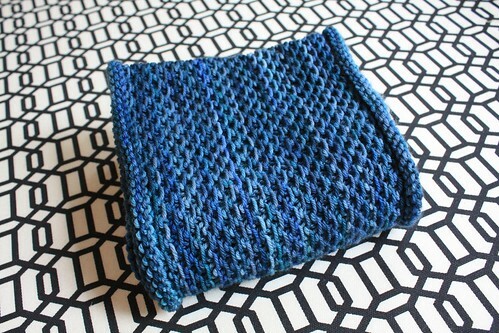 I LOVE that honey cowl made from the Malabrigo. I've only ever used their single-ply worsted, but the Regatta looks so lovely. I may be doing some shopping, even though my own yarn bag is totally full. ;) The Hermione socks are on my list too. Yours turned out great. I have a red sock craving so I may just flatter you by imitating! Knit on! Gorgeous - all of them. I am trying (TRYING!!!) to learn how to knit over here - not sure that it is going so well. 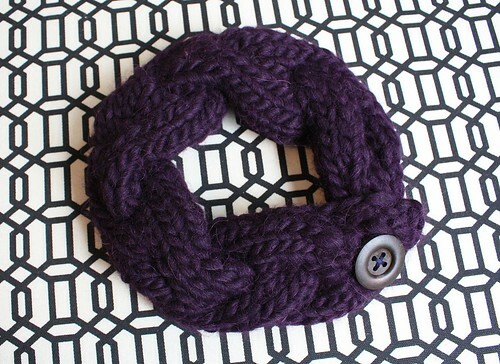 Looove your cowls - cowls are my inspiration. Wow, you are a knitting rockstar! I especially like the headband, and I can't believe you finished it in a couple of hours!